The use of manufactured animal feeds and feed supplements in Kenya has increased steadily over the last ten years. Data by Kenya’s State Department of Livestock estimates that demand for feeds and supplements is about 650,000 tons up from 300,000 tons in 2008. Registered feed manufacturers account for about 60 percent of the demand; while the unregistered small scale manufacturers, home/community-based formulators, and importers account for the balance. Some of the challenges facing the animal feeds industry in Kenya include erratic supply of raw materials, lack of standardization, and low quality of ingredients. The size of the animal feed industry in Kenya has been steadily increasing in the last ten years, mainly due to the growth of the livestock subsector. In 2008 there were about 100 registered livestock feed manufacturers, and by 2013 the number had increased to about 150. Of these, twenty are also large grain millers, and eight are oil seed manufacturers. There are also nearly fifty registered raw material importers and six suppliers of feed premixes (mineral, vitamin and other mineral elements). In addition, there are hundreds of home/community-based formulators whose growth is driven by the desire by farmers to contain spiraling production costs. Association of Kenya Feeds Manufacturers (AKEFEMA) affirms that the installed production capacity is adequate to meet the demand. However, actual capacity utilization is constrained by inadequate and erratic supply of raw materials. High cost of some of the ingredients, such as oil-seed cakes and meals, finer mineral elements, fish meal, amino-acids, has also affected the quality the quality and quantity of production. The main livestock feeds consist of roughages, concentrates, minerals and vitamins. The raw materials originate from cereals (corn, wheat, barley, oats, and millet), legumes and oilseeds cakes (soybeans, and cotton seed cake) and animal by-products (fish meal, blood meal, meat and bone meal). Industry sources indicate that fishmeal as a protein source has become expensive and unreliable due dwindling supply and the industry is keen on replacing it with cheaper alternatives, such as soya. Due to the prospects of high investment returns, the industry is also attracting new investment. In early 2014, Bidco Ltd, a leading edible oil and consumer products company in East Africa, announced its entry into animal feeds manufacturing. The company is initially targeting only the Kenyan market but hopes to later expand to the region through its existing distributor network. The poultry and dairy sub-sectors in Kenya absorb most of the feed. Both subsectors are based on intensive production systems and located in high potential rural and semi-urban areas, where commercial demand for milk and meat is high. In the lower potential rural areas, extensive livestock keeping is practiced, and livestock nutrition is rarely supplemented with concentrates. Commercial aquaculture subsector was virtually non-existent in Kenya, until 2009 when the GOK initiated the Economic Stimulus Program (ESP), a program that aimed at regenerating the economy following the slump resulting from the 2007/2008 post-election crisis. Initially the GOK allocated the aquaculture component US$ 34 Million (Ksh 3 billion) to promote fish farming across the country. The initiative was largely successful in terms of arousing interest in non–traditional fish farming regions. However, one key challenge that faced the implementation was the availability of aquafeeds. In the absence of established aquafeed manufacturers, fish farmers resorted to home-made feeds. Currently, some of the existing animal feed manufacturers are exploring investments in specialized manufacturing plants due to sustained demand. Kenya has the largest animal feeds industry in the East Africa region, courtesy of its growing and dynamic livestock sector. In common with many developing countries, most of the locally produced cereals are destined for human consumption and only the milling by-products such as maize bran, wheat bran, and rice bran are available for animal feeds production. Production of oil crops is also low; making it inevitable for the animal feeds industry to fill the raw material supply gap with imports. Currently the industry imports cereal bran, soyabean meal and oil seedcake mainly from Uganda, Tanzania and India. 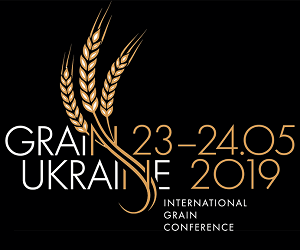 Ukraine by virtue of being a major source wheat imports is also indirectly a major supplier of wheat bran and pollard. Indeed the industry is currently faced with a surge in prices for wheat bran and pollard due to the political crisis in Ukraine. Most of the feed premixes (amino acids, minerals and vitamins) are imported from Israel and Western Europe, according to the State Department of Livestock. The GOK anticipates that the livestock industry will grow further due increased demand for animal proteins as population and incomes increase. The inevitable intensification of livestock production systems will increase the demand for feeds. In the National Policy Paper (Sessional Paper No. 2 of 2008), the GOK committed to facilitate the growth of the animal feeds industry by providing an enabling legal environment. GOK is currently in the process of enacting the proposed Livestock Act and the updating of the Fertilizer and Animal Foodstuffs Act. GOK is also encouraging cooperative societies and other farmer-based groups to establish feed production plants in order to increase availability and access. Kenya Bureau of Standards (KEBS) is the statutory body charged with enforcement of standards and certification of all products and services in the country. In the animal feed industry, most of the smaller feed formulators are unregistered, unregulated and even difficult to trace and therefore easily evade the oversight of KEBS. In addition, most feed ingredients are themselves are not fully standardized causing feed manufacturers great difficulties in complying with the set overall feed standards. The enforcement of the Fertilizer and Animal Foodstuffs Act is the responsibility of the Director of Veterinary Services (DVS). cake, and twenty percent or fish meal and cereal bran, and zero rated for premixes. 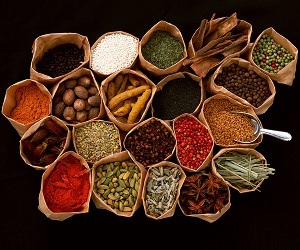 There has been a consistent preference for imported ingredients due to presumed better quality of imported products. In the domestic front, GOK has maintained a zero-rated Value Added Tax (VAT) regime for animal feeds, save for a short period in 2013 when a 16 percent VAT was introduced, a decision that was later reversed by Parliament.